In the hurricane relief center in Hartford, Kaliel Diaz (center) goes through winter clothing with her mom Nydia Marcano (left) and her cousin Marlene Hernandez (right). Marlene Hernandez shuffled through winter coats with her cousin Kaliel Diaz at a hurricane relief center in Hartford. Diaz arrived from Puerto Rico with three other family members just days before. Lea esta historia en español. / Read this story in Spanish. As the New England winter starts to set in, many families displaced by Maria have come to the center to get warmer clothing and other supplies. Hernandez said an even bigger concern is where the family will live, especially if more relatives arrive. A report from the Center for Puerto Rican Studies at Hunter College estimates between 3,000 and 11,000 Puerto Ricans could move to Connecticut post-Maria. The vast majority, like Hernandez's family who are staying with her in her one-bedroom apartment, came to live with other family members. “But they’re going into situations where the homes aren’t necessarily able to support all the new family members that are going to be living with them. And the honeymoon period is relatively coming to an end,” said Jon Basso of the American Red Cross, who was helping families fill out FEMA paperwork at the relief center. A stopgap solution, Basso said, could be FEMA’s Transitional Sheltering Assistance where evacuees can be put up temporarily in hotel rooms. So far, FEMA said six families in Connecticut have been granted the assistance. But finding longer-term housing will be even harder, especially for lower-income families, who face long waitlists for subsidized housing programs. 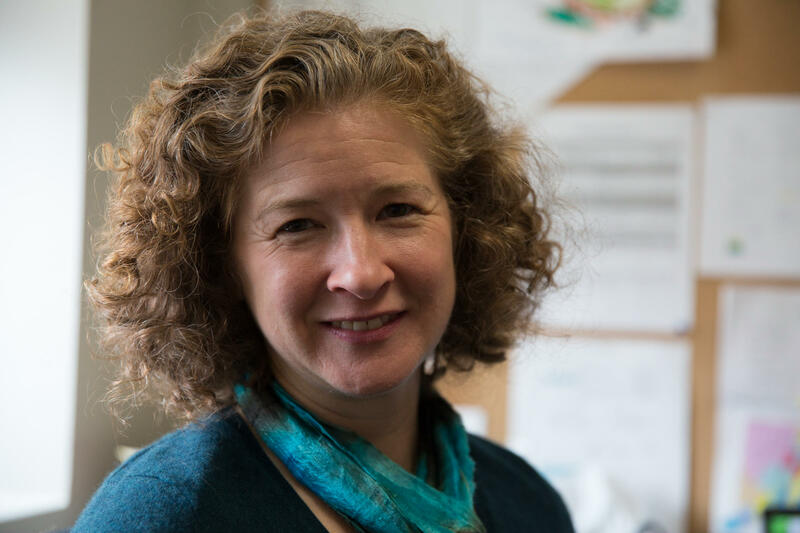 “To begin with, we know that we have an affordable housing shortage in Connecticut already -- this is before anyone from Puerto Rico who needs housing arrives,” said Erin Boggs, who runs Open Communities Alliance, a civil rights nonprofit that works in housing policy. “One thing the displacement of people in Puerto Rico who are now coming to Connecticut has revealed, is this sort of underbelly of problems with the affordable housing market in Connecticut,” she said. Boggs is concerned that the affordable housing that is available is concentrated in high-poverty neighborhoods. And those areas, she said, don’t have the resources to take in an additional low-income population. In Willimantic, Carlos Vazquez-Rivera sat in the living room of his aunt Flor Rivera’s three-bedroom house. She translated for him. “Carlos is saying, it’s very frustrating because we are adults, and we each want to have our own privacy, our own room, and we don’t have it,” Rivera said. Flor Rivera's family (top row) took in family members from Puerto Rico who were impacted by the hurricane (bottom row). Vazquez-Rivera’s house in Puerto Rico was destroyed by the hurricane, so he now lives here with his brother and his mom. The three of them share a bedroom in the house Flor lives in with her husband and two grandchildren. So now, they’ll wait. Vazquez-Rivera’s mom is working to get her GED, he’s in high school, and his older brother is applying for jobs. They’re all learning English, so finding work has been tough. And his aunt Flor said taking in three adults has been hard on the household finances. But things could potentially get worse. And with all the aid that’s being sent to the struggling island, she’s concerned that the Puerto Ricans trying to make it work in Connecticut will be overlooked. For information on housing options, hurricane evacuees can visit Connecticut 211's resource guide for new arrivals from Puerto Rico and the U.S. Virgin Islands. This story is part of “The Island Next Door,” WNPR’s reporting project about Puerto Rico and Connecticut after Hurricane Maria. There will be a unity march for Puerto Rico on Sunday in Washington D.C.
Ana Valentin-Jackson is on the national committee for this event and is mobilizing Connecticut residents to get to the nation’s capital. These days, Puerto Rico's monumental power restoration effort involves helicopters dropping 100-foot towers into the mountains and a "big dance" of crews, equipment and expertise from several agencies and companies. 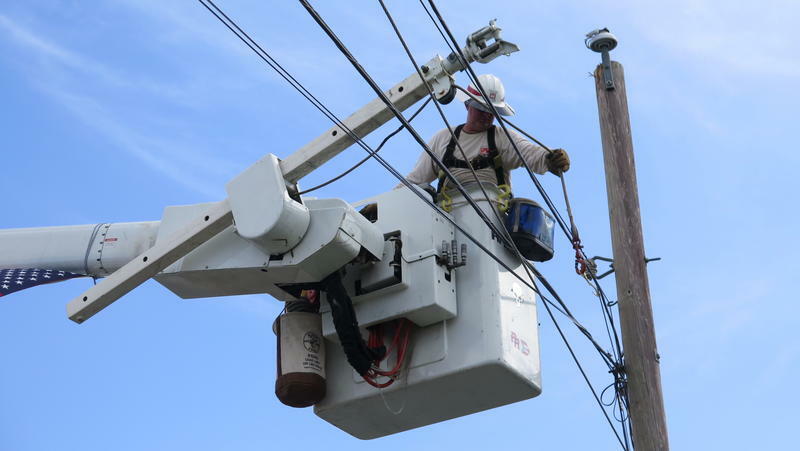 But progress has been slow and that dance has been a complicated and tedious one on the island, which is experiencing the largest outage in U.S. history. And sometimes it's one light forward, two lights back. A return home from a distant journey is often comforting. 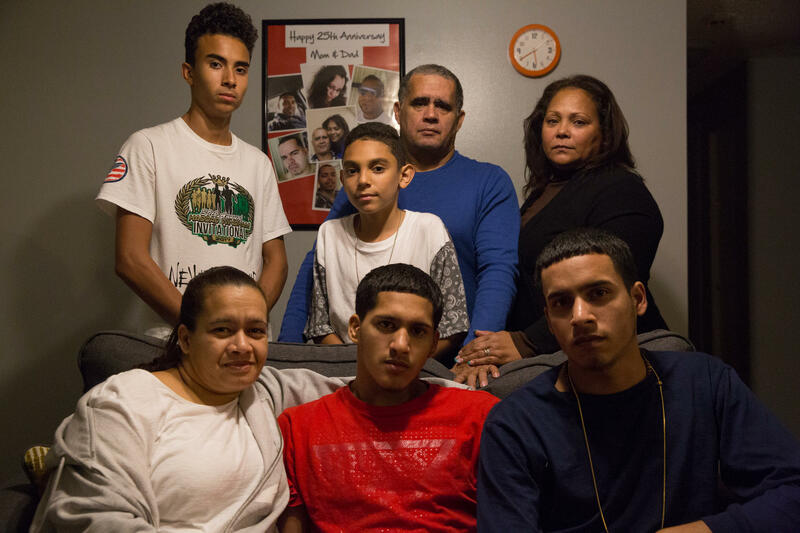 For members of the Puerto Rican community in Connecticut the return to the island for them after Hurricane Maria is far different from their previous trips.